This spring, the creative team at Dallas-based FluffPop™ are making life a little sweeter with their custom line of sweet treats. 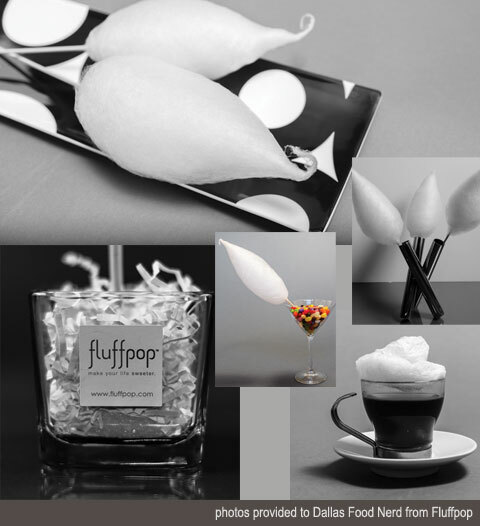 FluffPop is a high-end, gourmet cotton candy company that celebrates a childhood favorite with a remarkably innovative twist. The company has a laser focus on creating memorable experiences by offering exotic flavors, organic, and sugar-free options. Their super popular cotton candy stations featuring FluffPop DJ’s “spinning” live, explains why FluffPop is creating a major cult following in a relatively short period of time. Founder Yasmeen Tadia created her unique, sugary confection by accident just under a year ago. She and her son have always loved cotton candy but she wasn’t happy with the offerings available. She wanted different flavors to choose from but she also didn’t want something full of chemicals and dyes that would be bad for her family. So what does any bright, hardworking, single mother do? She created her own. “As a parent, I knew I wanted to provide a healthier choice that was still super flavorful and sweet. After testing and retesting, I was able to finally develop a unique way to create organic cotton candy.” Tadia states. Tadia’s sweet methods are top secret but she invites you to snag an up close and personal taste for yourself at a FluffPop SugarRush Tasting. FluffPop was created primarily with adults in mind and her flavors reflect that. Strawberry, Guava, Cappuccino and Lychee. Custom flavors are available by request. Even more amazing flavors are scheduled to roll out this spring season including Citrus Green Tea and Glow in the Dark cotton candy found nowhere else but at FluffPop!